How Can We Recognize False Doctrines? There are many false teachers out there teaching false doctrines. How can we recognize untrue teachings from those that are true? How do you recognize false doctrines from true ones? In John 14:6 Jesus told His disciples that “I am the way, and the truth, and the life. No one comes to the Father except through me.” He didn’t say that I am one of the ways to the Father or that I have some of the truth or that I am one of the ways to life, as in eternal life. When He uses the word “the” He means that He is the way…the one and only way to the Father. There is no other way to inherit eternal life except by trusting in Him. There is only one way to the Father and that way is through Jesus Christ alone. There is only one truth and that is when a person repents, confesses their sins, and trusts in Christ, then they can go to the Father but how can we recognize Jesus’ way or His truth from other ways? Cults are built around false teachings and many cults take one text to build a doctrine on and that is one of the clues on how to recognize false doctrines. When a text is taken out of context it creates a pretext and usually a false one. One church is built on drinking poison and handling snakes because they take one verse and build a doctrine on it. That text refers to Mark 16:17-18 where Jesus said that “these signs will accompany those who believe: in my name they will cast out demons; they will speak in new tongues; they will pick up serpents with their hands; and if they drink any deadly poison, it will not hurt them; they will lay their hands on the sick, and they will recover.” Did Jesus say to build a church on this? Was this to be the primary doctrine that we should look for in a church? No, Jesus was speaking to the disciples specifically, that there would be signs that would accompany those who would believe on His name. These signs did occur in the book of Acts where Paul was bitten by a poisonous snake and he shook it off and did not die (Acts 28:3-5). That was a miracle or a sign that Paul was sent by Jesus Christ to make disciples of others. Those who saw this expected Paul to die (Acts 28:6) but when he didn’t, they saw that he was truly a man sent from God. Later on, Paul did as Jesus prophesied when He said that “they will lay their hands on the sick and they will recover” and that is exactly what Paul did (Acts 28:8-9) and also what the other apostles did in the book of Acts. These signs did accompany those who believed. Jesus never said that they would handle snakes and drink poison and not die and that you would know them as being sent from Him. Many false doctrines take this verse and build an entire theology around it and they do greatly err in doing so. One way to discern right doctrine from that which is false is to read the Bible on a daily basis. 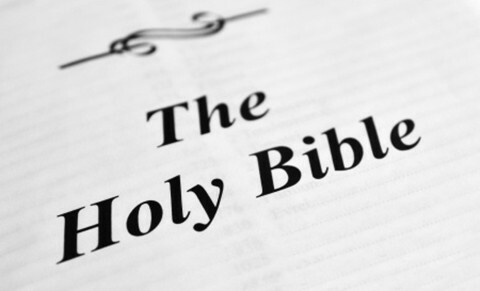 The more you read and know the Bible the more you will recognize teachings that do not match what is in the Word. When you hear something “new” taught, you will immediately recognize that this doesn’t sound right. It may not seem to fit what you have already read and learned in your Bible studies. When a person regularly attends good Bible teaching from behind the pulpit, in Sunday school, and in personal Bible study, you will know enough about sound doctrine to realize that what you are reading or hearing is not what God has spoken through His Word. The Apostle Peter warned about this when he wrote that “false prophets also arose among the people, just as there will be false teachers among you, who will secretly bring in destructive heresies, even denying the Master who bought them, bringing upon themselves swift destruction. And many will follow their sensuality, and because of them the way of truth will be blasphemed. And in their greed they will exploit you with false words. Their condemnation from long ago is not idle, and their destruction is not asleep.” (2 Pet 2:1-3). Notice that Peter said that “many will follow” them and they are exploiting their followers “with false words,” not Scriptures. Their greed indicates that they are in it for the money and not for the benefit of those who follow them. This is what Paul meant by “filthy lucre” (1 Tim 3:3) which means dirty money. When what you hear preached or taught is not what you have heard taught or read in the Bible, leave as quickly as you can because you are in the presence of a minister of Satan. We see then that there will be many self-proclaimed false prophets and false teachers and today there is no shortage of people who proclaim themselves to be prophets yet their words do not match biblical doctrine. Jesus warned that there will be many (Matt 24:11), not just a few, false prophets in the latter days (Matt 7:15) and they will be speaking in His Name but Jesus said that He has not sent them. Some of these false prophets may even do miracles or perform signs (Matt 24:24) but their source of not from God but from Satan himself. Then there will also be self-proclaimed apostles. They call themselves apostles and they are apostles but not sent from God but from the Devil. We know that these so-called prophets “are false apostles, deceitful workmen, disguising themselves as apostles of Christ. And no wonder, for even Satan disguises himself as an angel of light. So it is no surprise if his servants, also, disguise themselves as servants of righteousness” (2 Cor 11:13-15). So we must consider the source of anyone claiming to be an apostle or a prophet and the fact is that there is no possible way that a person could be qualified to be an apostle today. When a new apostle was needed to replace Judas, they stated the qualifications of being an apostle: They would have had to accompany Jesus during His earthly ministry or be taught directly by Him like the twelve were including Paul too (Acts 1:21-22, 10:39-41); they would have had to be directly appointed by Jesus Christ (Luke 6:12-13, Gal 1:10-18; Acts 1:23-26); and they would need to have a special endowment by the Holy Spirit and have signs and wonders accompany their ministry (Acts 1:1-8; John 14:25-26; Matt 10:1; 2 Cor 12:11-12). Paul was included as an apostle because he was directly chosen by Christ (Acts 9) Who taught him three years in the desert (Gal 1:10-18). When you read the Bible or hear the Word of God regularly through expository preaching and regular Bible study you can recognize false teachings. Anyone that knows their Bible well enough can recognize that abstaining from meats is not biblical. Paul warned Timothy that “the Spirit expressly says that in later times some will depart from the faith by devoting themselves to deceitful spirits and teachings of demons, through the insincerity of liars whose consciences are seared, who forbid marriage and require abstinence from foods that God created to be received with thanksgiving by those who believe and know the truth” (1 Tim 4:1-3). For example, some teach that if people don’t observe a Saturday Sabbath and attend church on Sunday’s then they have the “mark of the beast,” or that we should keep the feasts or holy days mentioned in the Old Testament, or abstain from foods that are called “unclean.” These are not teachings of the New Covenant but are stuck in the Old Testament Mosaic Laws. When what you hear preached or taught is not what you have heard taught or read in the Bible, leave as quickly as you can because you are in the presence of a false teacher. If a believer is in the Bible regularly, attends a theologically sound, Bible-believing, Christ-elevating, cross-centered, repentance focused, trust-in-Christ church, they can easily detect false teachings. The more you are in the Bible the more the Bible is in you and you will immediately know that this is not the way, the truth and the life. Only Jesus is and if there is a church or person that teaches that there are many paths to God, or that Jesus is one of many ways, or that other religions allow people to enter the kingdom of heaven, run, don’t walk, out of that church or person’s presence. You are in the presence of an apostle, a prophet, or a teacher…but that person or church is being led not by God but by the Devil himself. Paul prophesied it, Jesus foretold of it, and Peter warned about it. The truth sets free…false teachings enslave. We need to know the difference. Saying someone believes Saturday is the Sabbath or that we should tithe 10% is’t exactly a minister of Satan, they could be misinformed because of what others told them. Also, if we are in the presence of someone preaching false doctrine, shouldn’t we try to educate them rather than simply running away? Thank you Amelia. Perhaps those two things were not the best examples and so I apologize for that. I see what you mean by not wanting to run but to educate them. I agree. Great point. If they do not see the error in their way, then I would leave such a church and what I was talking about were the more extreme examples of false doctrine like the snake handlers and the poison drinkers and many other such false teachings out there. I should have been more specific and so I am sorry about that and you make really great points Amelia and I thank God for you hunger for the truth. 2) “if there is a church or person that teaches that there are many paths to God, or that Jesus is one of many ways,….. run, don’t walk, out of that church or person’s presence….that person or church is being led not by God but by the Devil himself”. Pastor Jack never said that. In number 1) above, those who are weak Christians should find somewhere else to attend if their leaders are teaching false doctrine. Thank you sir for your encouragement my friend. Like what your pastor says…and sadly, many have written their own Bible’s already which are contorted versions of the truth. Fred, thanks for a great comment and I do agree with you and your pastor. Amen Mark. Well said brother. Thank you sir for your encouragement. I so agree. God is the ultimate source who we should go to when we have questions or “lack wisdom.” I find that prayer is a powerful tool that God has given us, and I believe He wants us to use it. He is the revealer of all truth and He can reveal to us between truth and error. Thank you Dee. Amen my friend. When we are not sure, the Bible always reveals what is true and what is false. Thank you so much. I am currently busy with a study on false doctrine. I started right at the beginning:… the early church of Acts. The first thing I would like to point out is that there is absolutely nothing wrong with keeping the Sabbath nor observing a feast day. In fact: The early church did so… and why not… It all points propheticly to Christ, the past and the future. Everyone will also agree that the renewed covenant became fully operational in 30AD (at the cross and Pentecost). This is long before Paul was even converted 34AD. His first mission was in 48AD. Jesus and His disciples / apostles warned us numerous times that many false prophets shall rise… they shall deceive many. It is very difficult to change the meaning of His teachings, because He made use of numerous parables / stories to explain each principle He taught… and He also led by example. hi jack, i have a very disturbing question here,i’m from south Africa and we have a church(es) where people eat grass(and all sorts of things) when they are sick or want to prosper and they get healed, And the excuse for the pastor is that he says Jesus said believers will do more than He did so that’s what he(pastor) is doing..your point on that? I am so sorry my friend but this “pastor” is not from God but of Satan as God never promises anywhere in the Bible to heal everyone and even Paul prayed three times to have his “thorn in the flesh” removed but God said no, “My grace is sufficient” for him. I would find another church and pastor or start your own housechurch if there isn’t one near you. What Jesus meant by saying the disciples would do greater things (not us!) is that they would take the gospel into the whole world and they did, especially considering the New Testament is worldwide now.